Michael Chapman has led an intriguing life; starting off as an art teacher, he eventually emerged on the music scene in the late 60s with the phenomenal album ‘Rainmaker’. This album on the acclaimed Harvest imprint cemented his status (then and now) as one of the scene’s finest writers, and since then he has released an enviable selection of recordings. Recently his work has enjoyed a rebirth, and this collection of ragtime-inspired jams is quite stunning, even more so as Chapman is in his seventies. 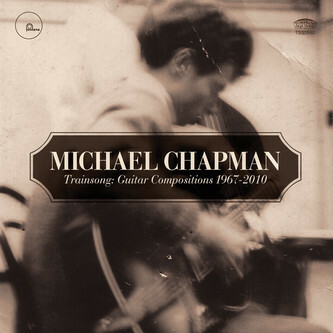 Fans of the late Jack Rose and John Fahey (there is a tribute to Fahey here, in fact) will find much to soak up in Chapman’s expertly performed, melodic solo guitar workouts. Occasionally there is even an unusual foray into electrics (such as ‘Sensimilia’) and even that is done with enough heart and soul to elevate the record far above many current solo axe activists. Very good indeed.